Plant ht. 3' Blooms 3.5"
Very heavy bloomer. 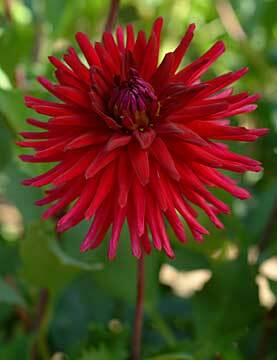 Great dark red that add to the garden and to bouquets.